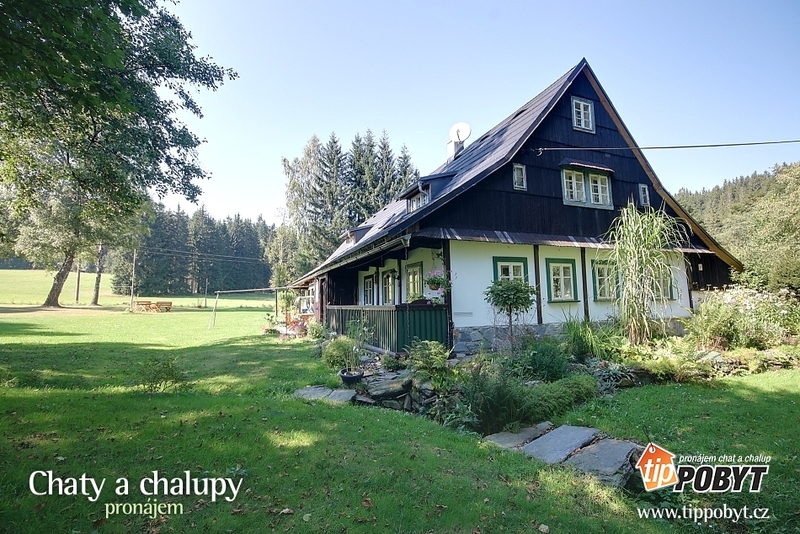 Comfortable stylish cottage with a swimming pool in a beautiful nature full of forests and meadows located near the village of Podlesí, the locality of Orlické Záhoří and Říčky in the Orlické Mountains, district Rychnov nad Kněžnou. 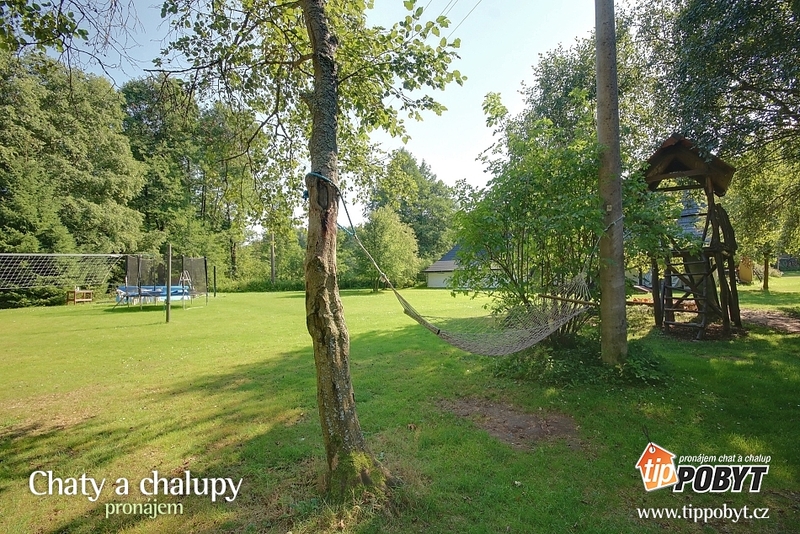 Surrounding the property in summer offers ideal conditions for hiking, mushroom picking, cycling (mountain and road) and swimming. 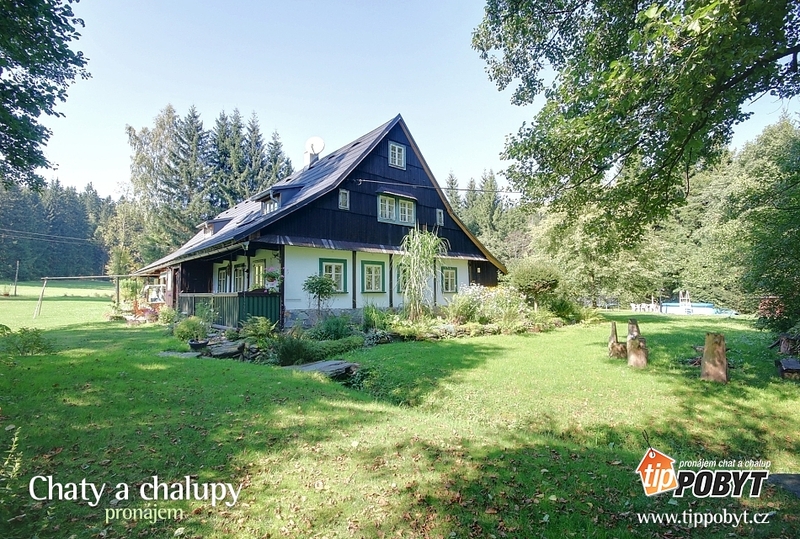 Podlesí settlement is 3 km away, Říčky in the Orlické Mountains 14 km. 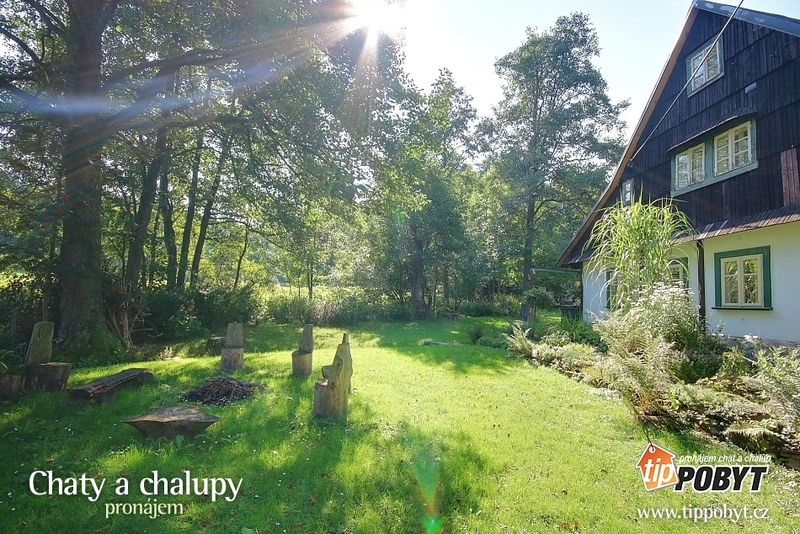 Refundable deposit 1000 CZK. Recreational fee 16 Kč / person / night. Payment of el. energy and wood according to actual consumption. 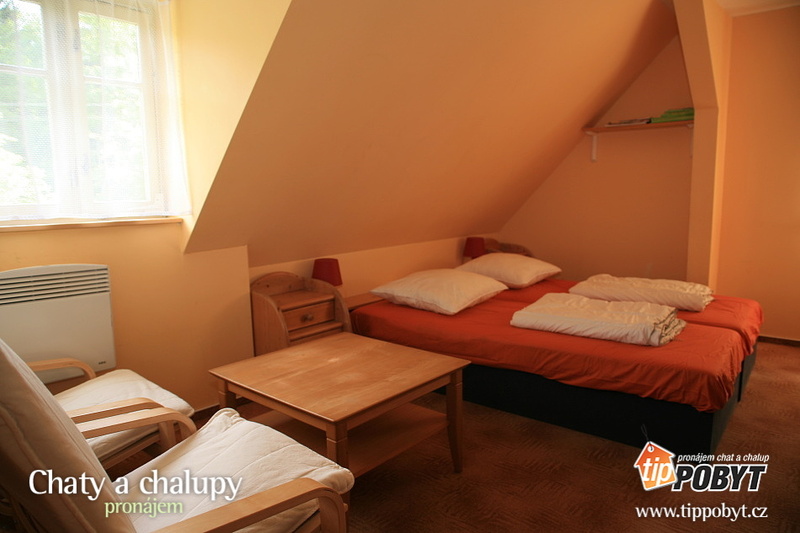 Fee for pet 80 CZK / night. 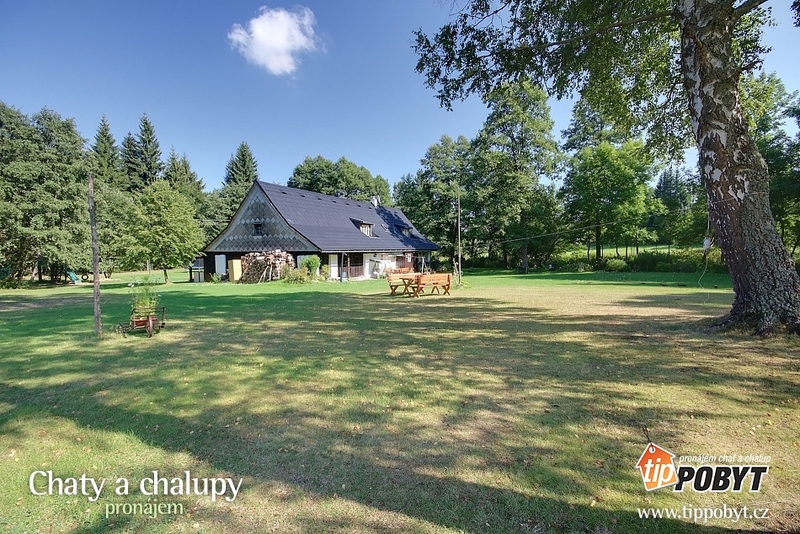 Stylish cottage in a secluded area with swimming pool - beautiful nature! 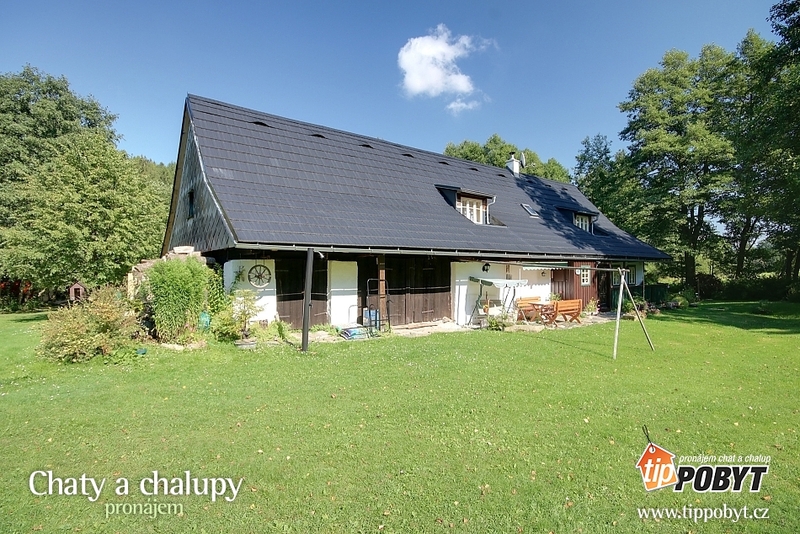 The cottage is divided into 2 apartments. 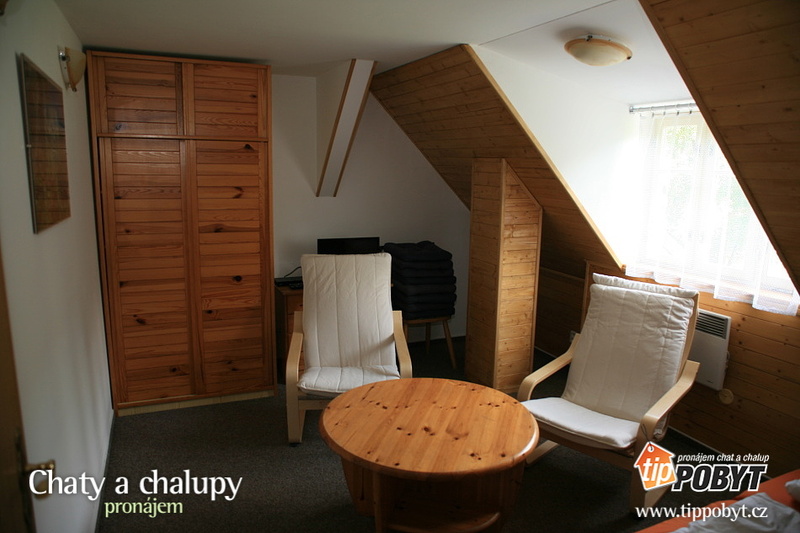 Both apartments have 2 bedrooms, each with 2 beds. 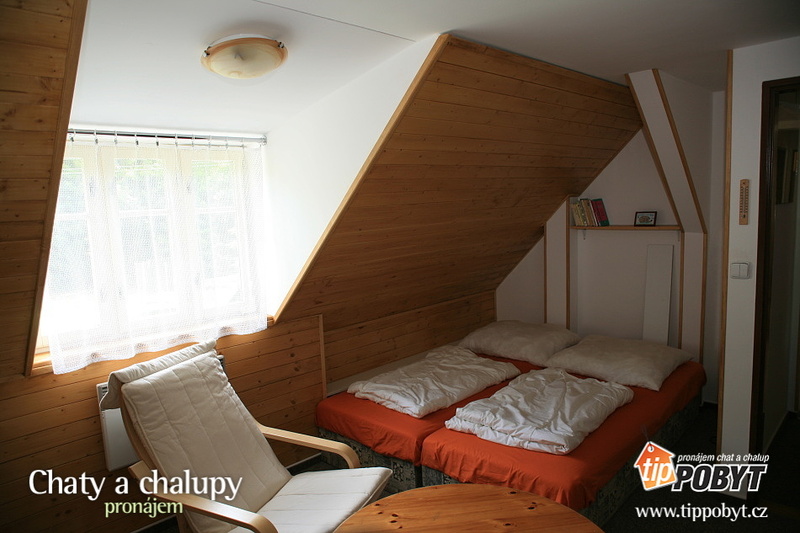 In the cottage the possibility of up to 4 extra beds (2x mattress and 2x foam folding mattress) and cot. These are fully equipped rooms with a total of 2x SAT TV, 1x DVD, 1x video. In the two children's toys. 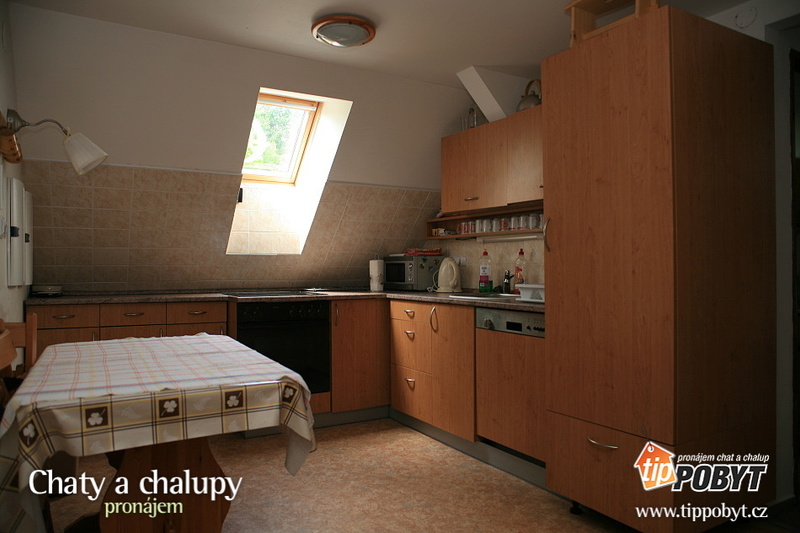 There is a fully equipped kitchen with ceramic hob, hot-air oven, dishwasher, microwave, fridge and 2 hot plates. Each apartment has a bathroom with shower and toilet. 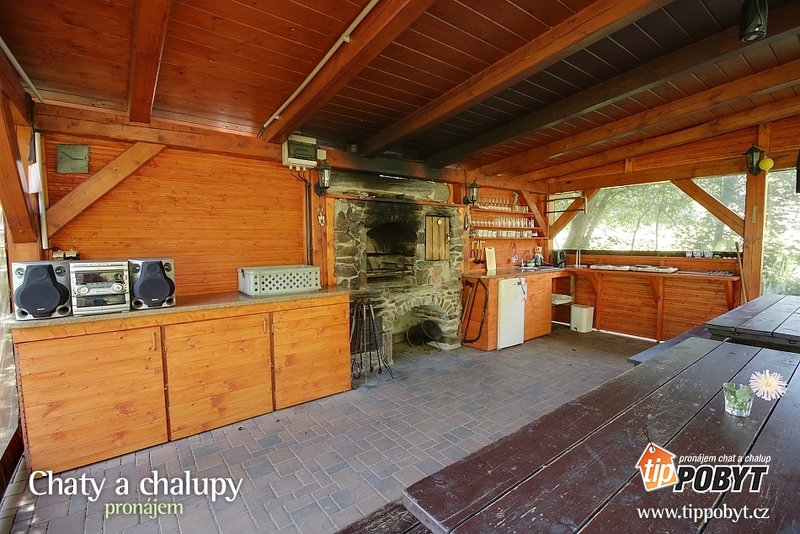 On the lower floor there is a common room (stylish wine bar) with arched stone ceiling, fireplace stove, kitchen mini-oven and fridge with freezer box. 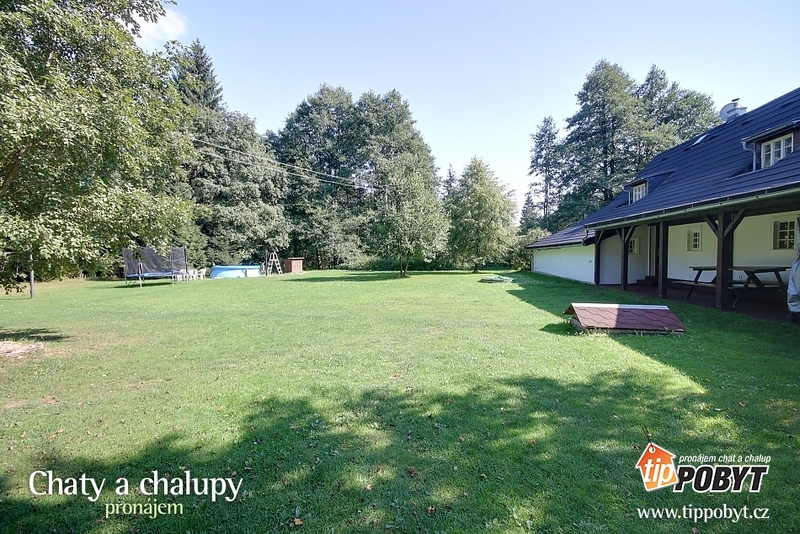 Available cable (6x RJ45) and Wi-Fi internet access. 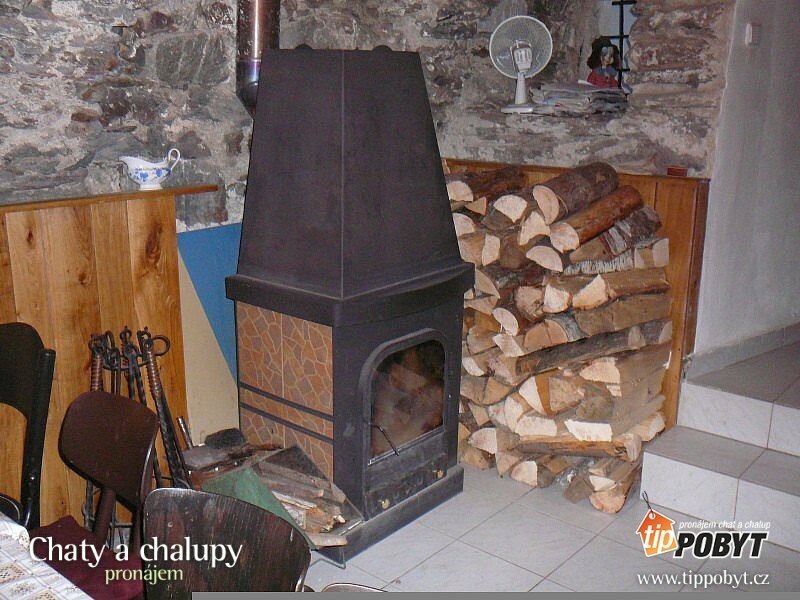 The heating is provided by wood and el. heaters. 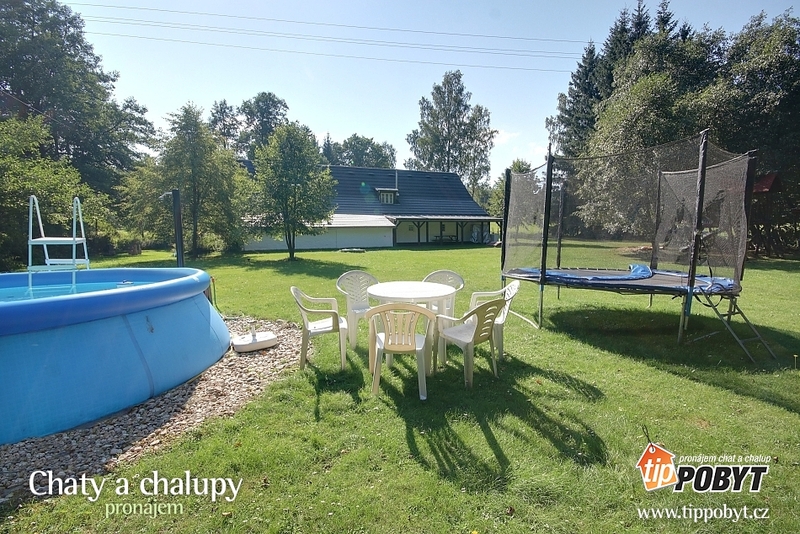 The cottage has an above ground swimming pool (summer), a trampoline with a diameter of 3 m, open space, fireplace with sitting, garden furniture, grill, playground with swing, sandpit and slide. Parking in the summer by the house, in winter approx. 200 m in the parking lot by the road. 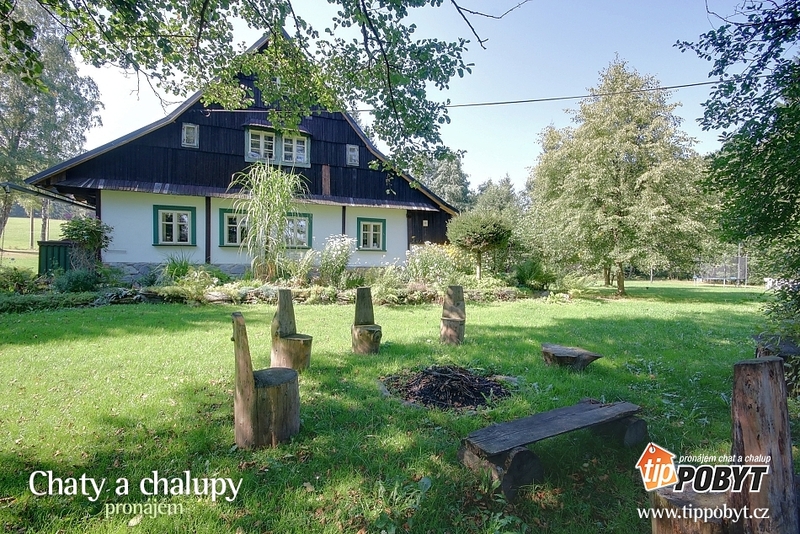 Summer recreation - cycling (in the vicinity), hiking (in the area), biking trails along both sides of the border, Pastviny Dam, near Hanička and Dobrošov Fortress, Potštejn Castle, Vamberk Lace Museum. 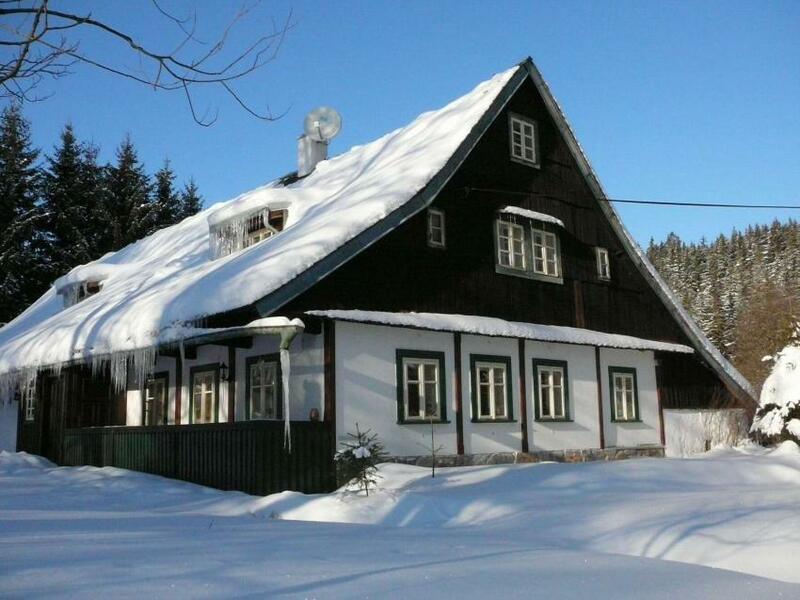 Cabins and cottages for rent in Beskydy! 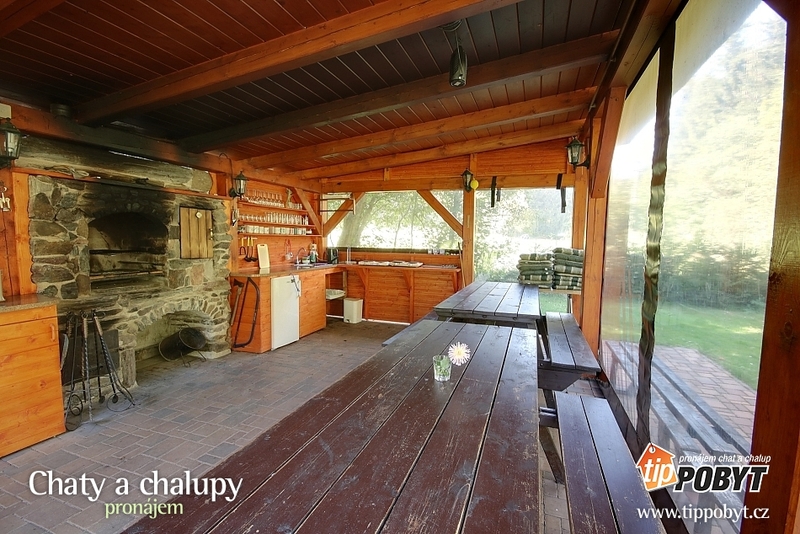 Vranov dam - luxury cottage! 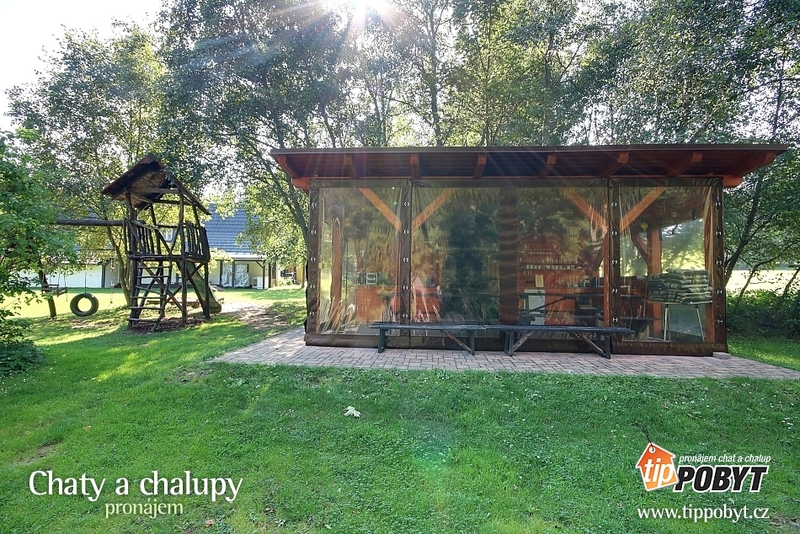 Cabins and cottages for rent on New Year's Eve!